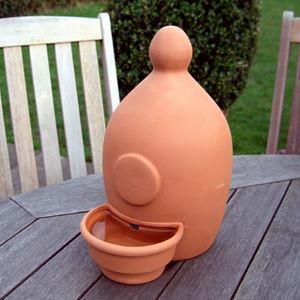 Our Bird Drinker will provide a fresh water supply for thirsty birds. Water stored in the dome is released into the dish to replenish the supply as the water level drops when birds take a drink. 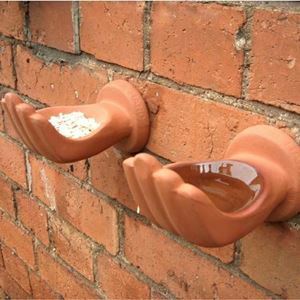 Our Bird Drinking Water Station will provide a fresh water supply for thirsty birds. 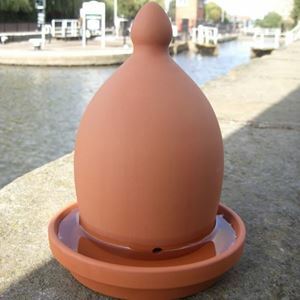 Water stored in the top dome is released into the saucer to replenish the supply as the water level drops when birds take a drink. Our novel bird feeder & drinker set is a handy help for hungry and thirsty birds. The feeder comes with a drainage hole to help prevent water-logging. Fix with a screw when mounting on an outdoor wall or garden fence.